A reader of Peter Kazmaier’s first book (The Halcyon Dislocation) state that “Kazmaier hurls readers into a world with shady morals, dubious friendships and exotic surroundings.” Kazmaier’s most recent manuscript, The Dragons of Sheol, is also worthy of this praise. The exotic setting, in this case, is the continent of Abaddon which resembles a giant continent-sized crater with a ring of coastal mountains and the Abaddon plain some ten kilometers below sea level. The high air pressure and the penchant for wizards in one area of the continent (the Mutandi Highlands) to create all kinds of bizarre and dangerous lifeforms, fills this continent with exotic and dangerous plants and animals. We had heard of Abaddon in Kazmaier’s second book (The Battle for Halcyon). Now the reader gets to explore this world in an adventure in which Albert Gleeson tries to rescue his kidnapped pregnant wife and adopted son. The manuscript is just entering the editing stage. The book itself is slated to be published in 2019. 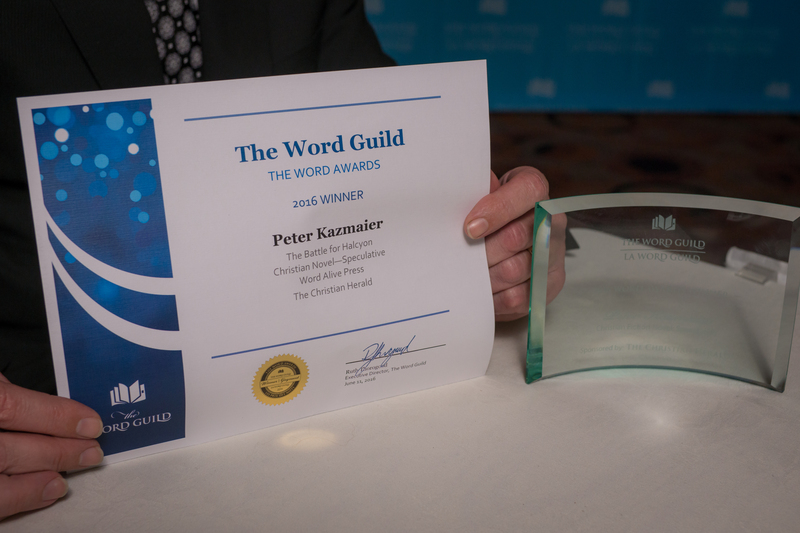 Peter Kazmaier’s, The Battle for Halcyon, won the 2016 Word Novel Award: Speculative Fiction category. For Wolfsburg Imprints listings of this book look here. The Wolfsburg Imprints book, The Battle for Halcyon, is still in the running for the Speculative Fiction category of the Word Awards. 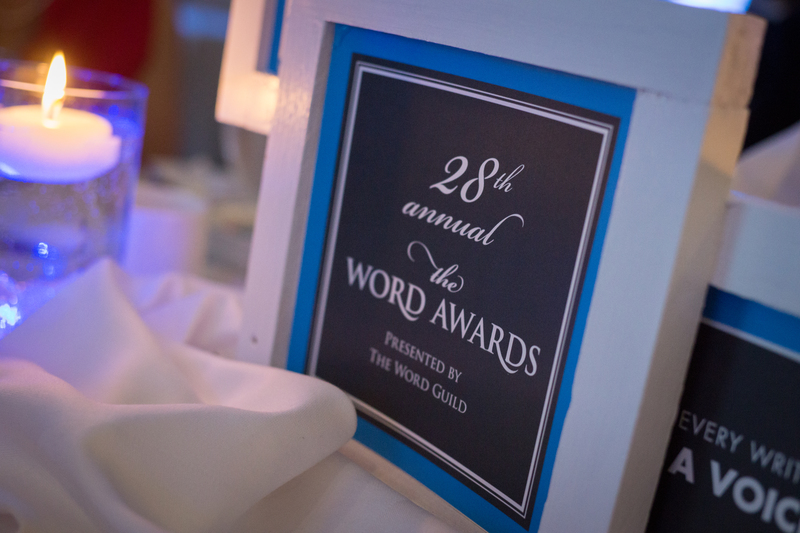 The Award winner will be announced at the Word Award Gala in Toronto on June 24, 2016. 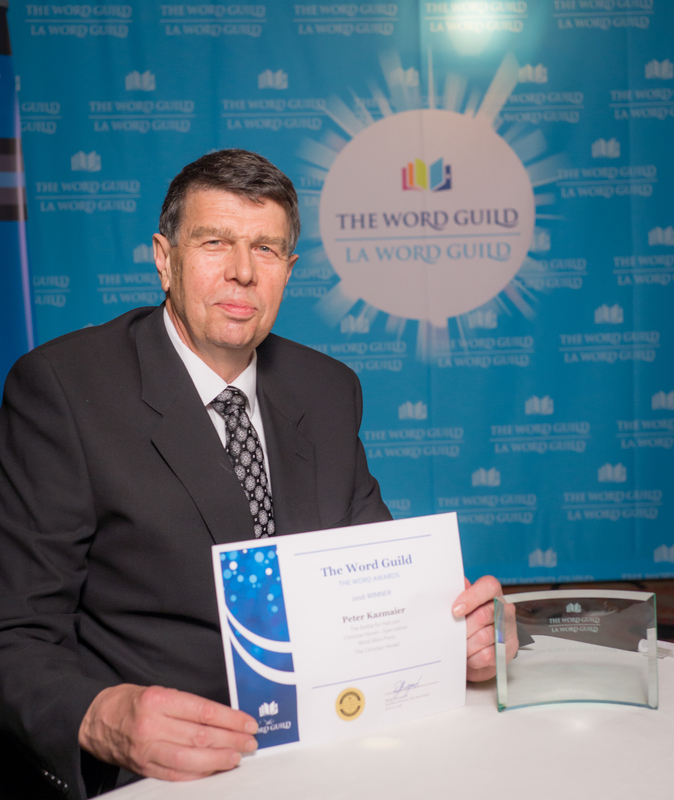 Here is a 100 word excerpt from the book requested for the Gala. Dave peeked over the rubble heap and saw a large band of Halfmen approaching, carrying torches. Just then an arrow thudded into the first Halfman and the others howled with rage and sprang to the attack. There were so many of them that they flowed through a gap in the broken ruin of the wall like a dark howling tide. Dave had no time to think, but along with his friends was fighting for his life. Three large Lupi bounded on a nearby broken wall. The leader spotted Dave, growled and leapt for him. Dave rammed his shield into its snout and thrust his sword into its chest. 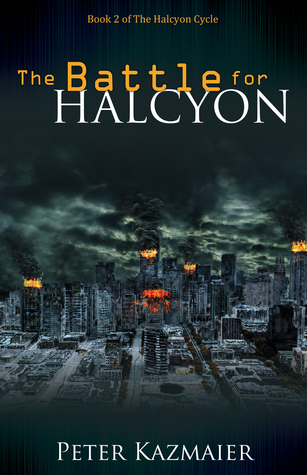 Download a copy of The Battle for Halcyon_Sample_Chapter_1 now! Giveaway ends August 15, 2015. Kevin has posted a new review of THE HALCYON DISLOCATION on amazon.com and amazon.co.uk. Why not check them out. The text is shown below for your convenience. I came across Peter Kazmaier in an online group discussion on some fairly contentious issues relating to faith and morality. I was struck by his reasoned approach and intrigued to discover that he was also the author of this book. Having read many sci-fi and fantasy books in the past, but nothing of that ilk recently; I decided to put it on my Christmas list. After all, it should be better than a pair of socks. And I’m glad to say, it was. Initially, the book reads like a fairly standard science fiction novel. A force-field experiment at a University on the little island of Halcyon goes catastrophically wrong, ripping the entire island into what appears to be an alternate reality with no human inhabitants. But as they begin to explore this part-familiar, part-alien world a different picture slowly emerges. Was their coming here an accident, and what is the real agenda of the men who have set themselves up as Halcyon’s leaders? More worryingly still, it gradually becomes apparent that this world was not always uninhabited. So why does it seem that way now – and is it really? As the plot thickens the book becomes more of a science fantasy battle between both moral and spiritual forces of good and evil than a simple science fiction. But this is one of the most interesting aspects of the book. On one hand, are hard-nosed scientists and philosophers, determined to create a new human utopia without any taint of religion or old-fashioned morality. In the middle are a lot of hurting and confused young people of various persuasions who desperately want to go home; and at the other extreme a group of religious fundamentalists who simply want an escape from the perceived evils of this brave new world. But who are the real moralists and the real oppressors? As we follow the stories of some of those caught in the middle of all this, there are many fascinating discussions as they try to work through the issues of who, and what, they should believe, and how they should respond in this strange new reality. QUESTIONING YOUR WAY TO FAITH has been reviewed by author Bonnie Beldan-Thomson in Faith Today.